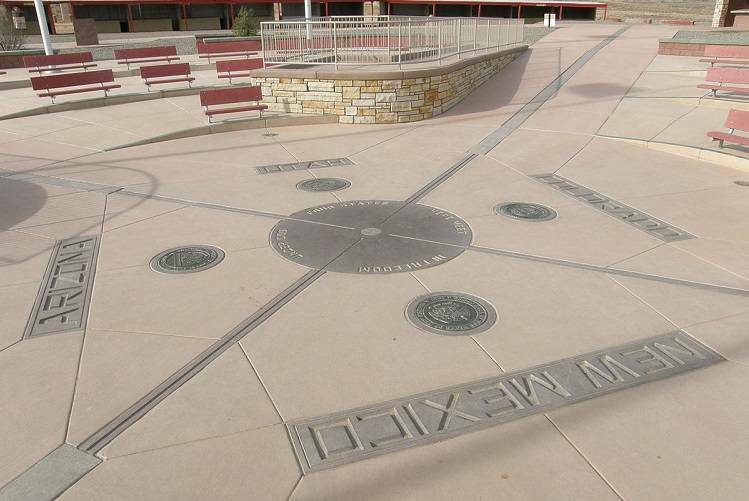 Four Corners Monument, Four Corners Tribal Park, is open year round, and features a demonstration center with Native American artisans. General Admission is $5.00 per person (cash only), ages 6 or younger free. The monument is open to the public 8:00 a.m. to 8:00 p.m. May 1 to September 30 and 8:00 a.m. to 5:00 p.m. October 1 to April 30. For additional information about Four Corners Tribal Park contact Navajo Parks and Recreation 928-871-6647 or the Navajo Tourism Department 928-810-8501. When weather is an issue, it is reccomended that you call ahead to ensure roads are clear and the park is open.